Two dozen church organists from Orkney to Edinburgh find themselves shaken and stirred by a leading jazz pianist. Richard Michael is honorary professor of jazz piano at the University of St Andrews and a leading broadcaster and recording artist. He is also organist of Abbotshall church, Kirkcaldy. Organists were asked to bring a hymn tune that, through continuous playing, had become stale. Richard's task was to show how new life could be brought to the way hymns are played - and therefore how congregations sing them. For Richard, the magic word was colour. Playing hymns and psalms exactly as they are written can be the death of them. Some asked: what would congregations think if they begin to sound like a Mary Lou Williams or a Dizzy Gillespie? Richard told them: the biggest mistake is putting music in separate boxes. The harmonies for of the jazz joint, the concert hall and the sanctuary are basically the same. We can learn from jazz how to find and bring out the colour and the rhythms buried in our hymn tunes and worship songs. Several participants had a go themselves. Richard reassured them: it's cool to make mistakes! 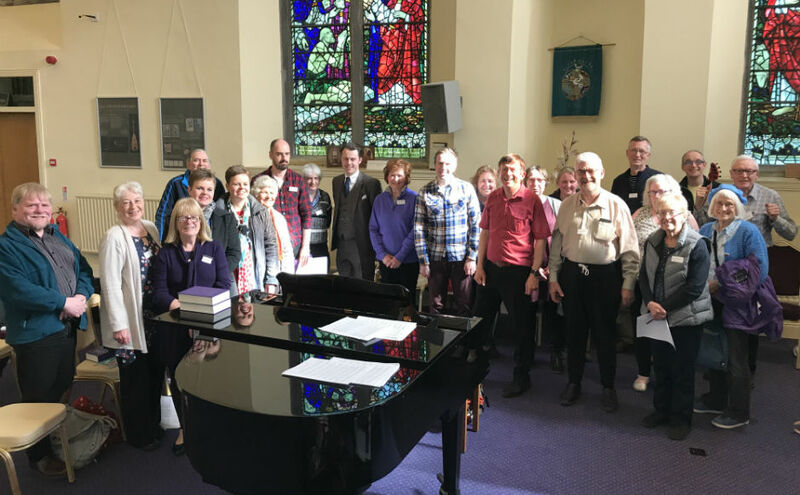 The day was organised by SCOTS, the (ecumenical) Scottish Churches Organist Training Scheme, which exists to encourage new organists and to support more experienced musicians in honing their skills - for the health of the worship in our churches. The organiser, the Rev Dr Douglas Galbraith commented: "It couldn't be more appropriate. Jazz emerged at the point where the hymn met the holler - where the structured music of the church merged with the 'unmeasured' musical song of workers in the cotton fields. "There is no doubt that the music of our churches lack colour and adventure; we can be too restrained in our playing and both organists and congregations can lack adventure in the music they are prepared to try. "Appreciating jazz might be one of the things to give us more freedom." The group met in the Old Kirk of Kirkcaldy, now no longer used for regular Sunday worship but host to a number of cultural and community events. They have preserved a fine pipe organ, which is kept in use by recitals and by organists for practice.